State-owned electricity producer Eskom says it is on course to achieve its stated goal of achieving an energy availability factor (EAF) of 80% well ahead of its 2021 target, reporting a steady recovery in the performance of its fleet of coal-fired power stations. As a consequence, the utility does not expect a return of growth-sapping load-shedding and is, instead, gearing up to increase export sales into the rest of the region. 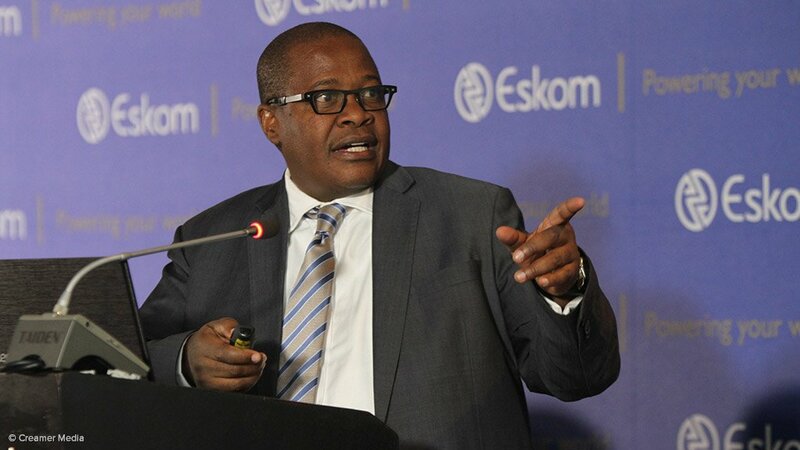 CEO Brian Molefe reported on Tuesday that the EAF recovered to 78.6% between April and June this year, a material improvement on the 69.6% reported for the corresponding period in 2015, when the slump in the EAF emerged as the main contributor to ongoing rotational power cuts. For 2015/16, the group achieved an EAF of 71.07%. 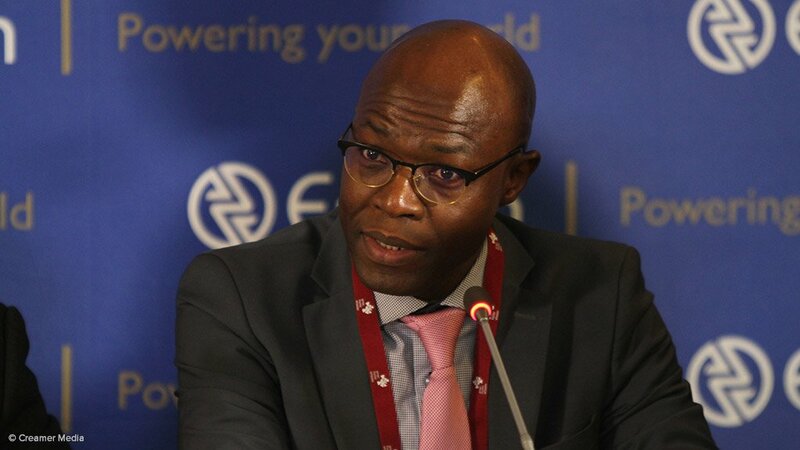 The figure had climbed above the 80% target level in June and July this year and group executive for generation Matshela Koko was optimistic that the performance could be sustained as Eskom entered the high-maintenance summer months, during which it plans to perform maintenance of 11 500 MW on its fleet with a capacity of around 45 000 MW. The improvement in the EAF – which emerged as the main objective of the now defunct war room established by Cabinet amid a spike in load-shedding, precipitated by the collapse on November 1, 2014, of a coal silo at the Majuba power station – has also been key to recent operational stability, adding over 3 700 MW of capacity during the period. It has also facilitated a sharp fall in the use of the diesel-fuelled open-cycle gas turbines in the Western Cape, where energy sent out fell from 1 801 GWh in the first quarter of Eskom’s 2016 financial year (April to June 2015) to only 16 GWh in the same period this year. Period-on-period diesel costs also fell 98%, from R3.9-billion to R86-million. Koko said the performance should be sustained, but lamented the rise in coal costs, which had increased 17% during the current year. He insisted, however, that Eskom would have no supply or quality shortfalls for the coming five years, despite changes to its coal sourcing strategy. He acknowledged that there were some risks, particularly for the older power stations. Molefe indicated that, with the current build programme, Eskom would raise its capacity to over 53 000 MW by 2022, which meant that the utility should be in a position to supply any future growth in demand, while also raising exports into the region. In the quarter, Eskom increased cross-border sales 33%, having sold 13 465 GWh into the Southern African region in 2015/16, a 12.2% rise. It is already making “opportunistic” sales into the regions above its firm commitments and is actively looking for additional opportunities, amid weak domestic demand. Sales volumes fell 0.8% to just over 214 487 GWh in 2015/16. Molefe said the group’s focus was shifting from its generation problem to the current disruptions arising as a result of distribution failures, adding that it was working closely with municipal distributors, especially in Gauteng, to address the cuts, many of which could be linked to overloading and electricity theft. The utility also unveiled a disturbing, even overly graphic, television advert showing a young man being badly burned when making an illegal connection.